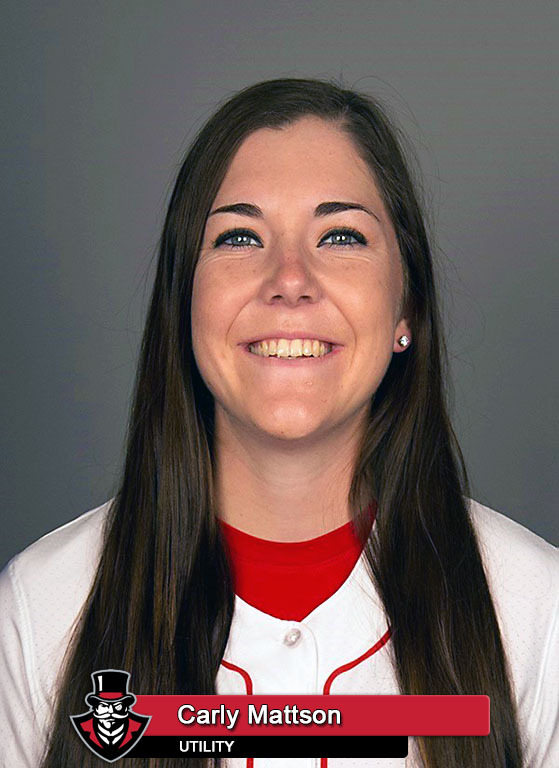 Nashville, TN – On Sunday, Austin Peay State University’s softball team saw Lipscomb rally to force extra innings at Draper Diamond, with the Govs dropping an eight-inning final, 7-6. 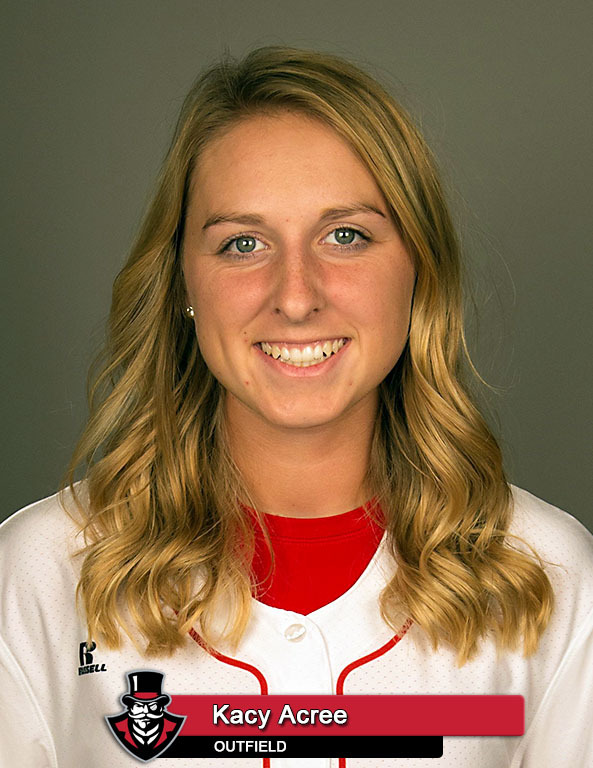 Early-on it looked like it might be the Govs (8-14) day, with Austin Peay jumping out to a 3-0 lead in the top of the first inning on a three-run homer by Carly Mattson, her fifth of the year – tying her for the team lead. 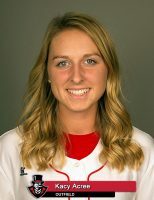 Lipscomb (21-7) would respond with two runs of its own in the bottom of the inning, to cut the lead back to one run, but APSU answered right back by putting another three spot on the board in the top of the second, with Kendall Vedder doubling in two runs and Danielle Liermann brought in the third with a sacrifice fly, making it 6-2. But that would be all the runs that the Govs would push across in the contest, despite having runners in scoring position at second and third base in both the third and sixth innings, but failing to add to their lead. 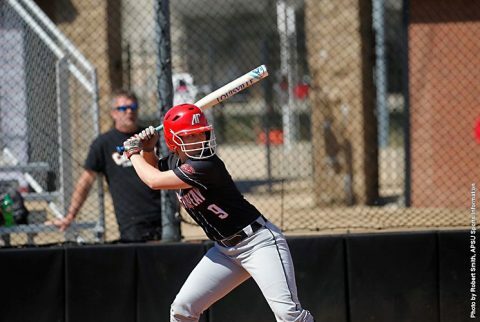 While the Govs bats went quiet, Lipscomb continued to chipping away at the APSU lead with a single run in the second, two more in the fifth and a game-tying sixth run in the bottom of sixth. After both teams failed to score in the seventh inning, Lipscomb was able to pick-up the game-winning run with a one-out single in the bottom of the eighth. For the Govs, the lost marks the ninth straight extra-inning loss suffered by the team dating back to March 23rd, 2014, when they dropped a 12-11, nine-inning decision to Tennessee State. The last extra-inning win by Austin Peay came on February 22nd, 2014 in an 8-7, eight-inning victory over Campbell at the Frost Classic in Chattanooga, Tennessee. Sidney Hooper (0-1) took the loss in relief, but did record a strikeout to become the 15th pitcher in school history to log at least 100 strikeouts in a career. Kacy Acree and Emily Moore would record two hits each to lead the Govs, while Drew Dudley picked up her first collegiate hit of her career. Austin Peay returns to action, 2:00pm, Wednesday, when they host the Samford Bulldogs for a doubleheader at Cheryl Holt Field.